We have a price estimate of $74 for Activision Blizzard (NASDAQ:ATVI), which is slightly above the current market price. The stock has been moving higher, and has increased by over 40% in the last year. This can partly be attributed to the King acquisition in 2016, which has boosted the company’s top line and given it a solid mobile user base. 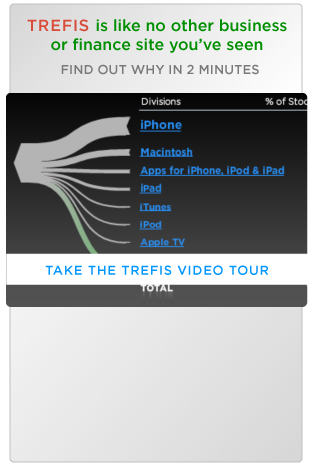 However, we believe that the company is largely fairly priced at current levels, and have created an interactive dashboard using Trefis’ interactive technology that details our valuation for the company’s stock. You can modify the assumptions to generate your own estimate of the company’s value. We expect Activision Blizzard to generate EBITDA of $3.5 billion in 2018, led by modest margin expansion. We value the company using an EV/EBITDA multiple of 15. The gaming market is fairly competitive, with large players such as EA and others posing a threat to Activision Blizzard, which limits the company’s upside. The average monthly active users for Activision have been stable around 50 million over the last few years while average revenue per user is on an upward trajectory. We expect this trend to continue and expect Activision monthly active users to reach 52 million, and Activision Revenue Per User to be $57 in 2018. We believe that Call of Duty: World War II, which was released in November 2017, will provide a boost to the user base as well as the segment’s average revenue per user. Blizzard is facing pressure on average revenue per active user, although it is managing to grow its user base. It should be noted that the numbers for Blizzard segment are also impacted by World of Warcraft, which did not release any title in 2017. However, the company is expected to release Battle for Azeroth later this year. Accordingly, Blizzard monthly active users will likely grow to 45 million, along with an uptick in Blizzard Revenue Per User to $54 in 2018. Estimating no change in EBITDA margin of 49% for Blizzard, would translate into EBITDA of $1.2 billion. The King segment’s active user base has declined of late, and we expect that to continue. Despite the decline in active users, King has managed to grow its revenue per user in order to help offset that.